Last week was a very, very poorly week for me. I came down with freshers flu. Hard. For those of you who are lucky enough to not live in a town populated by hundreds of millions of students, freshers flu is what we call the illness everybody in the city comes down with when lots of people from lots of different places bring their germs together. Gross, isn’t it? Pity me. With a cold comes a desire to feed the soul in a big, big way. That’s how I discovered my new favourite comfort food. This is literally just pasta, butter and onions. And it’s so, so good. This recipe is in collaboration with Red Tractor, an organisation I am 100% on board with. If you see the Red Tractor logo on a product in the supermarket, you can be sure that the product is meeting standards on: traceability, food safety + hygiene, animal welfare and environmental protection. All very important in a world where the horse meat scandal was a thing, I’m sure you’ll agree. Until November 1st, you’ll find the above sticker on selected Red Tractor products, so make sure you pick one up to be in with a chance of winning a farm stay mini-break! As part of the same campaign, they’re also hosting weekly competitions on Facebook and Twitter – so make sure you’re following them on social media and keeping an eye on the #trustthetractor hashtag for more exciting info & competitions. Get down to the supermarket and pick up some Red Tractor assured butter, some spaghetti and some Red Tractor onions and prepare to be amazed at how insanely delicious something with so few ingredients can be. P.S – remember to go super low, super slow with your onions, adding a little water if they look like they’re catching. Don’t rush them! Check out this vine to see a slow evolution..
Caramelise your onions. The trick here is really low, really slow, in a really good non-stick pan. The Kitchn have a good guide on this if you need a hand – I don’t tend to add sugar, but by all means do if you want to. When your onions are just about there, cook your pasta according to pack instructions. Drain then add to the frying pan with your butter. Stir until the butter is coating your spaghetti nicely, then serve. 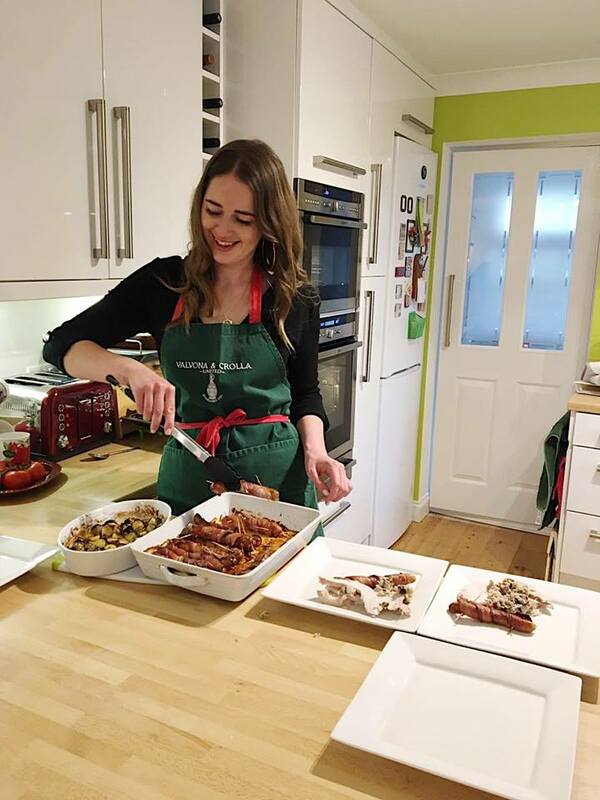 This post was written in collaboration with Red Tractor, thank you for supporting the organisations that help keep Cate in the Kitchen up and running! Next PostIs This Vegetable Halloweenier Than A Pumpkin?